Last week we discussed the whole concept of choice and making decisions. We looked at the first principle of "the why". 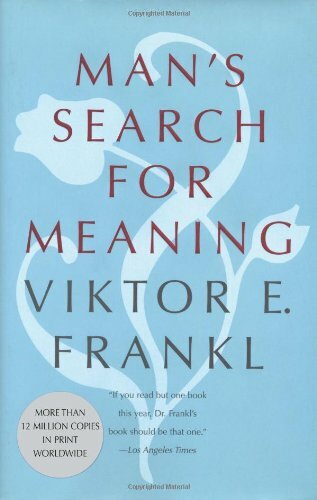 I mentioned that I would discuss two more principles; however, I happened to pick up a new book last weekend titled "Man’s search for meaning", and it’s taken me a bit off track. 1) Life has meaning under all circumstances – even the most miserable ones. 2) Our main motivation for living is our will to find meaning in life. 3) We have freedom to find meaning in what we do, and what we experience, or at least in the stand we take when faced with a situation of unchangeable suffering. This week’s 10 minute WORKout: Take ten minutes to delve deeper into Logotherapy. Here’s a link to get you started: http://en.wikipedia.org/wiki/Logotherapy.